The central role of the atomic bomb in geopolitical conflict during the mid-twentieth century has been extensively documented by historians, economists, and political scientists. However, as it has only recently passed into the realm of history, little work has been conducted within the archaeological realm regarding the uranium used to make these weapons, in particular its prospection and mining. Spurred on by the policies of the United States government, particularly the Atomic Energy Commission, the uranium boom of the 1950s and 1960s inspired a significant wave of exploration for uranium within the continental United States. The State of Nevada, while more well-known for its gold, silver, and copper reserves, was the focal point of substantial uranium prospecting and mining between 1951 and 1968. This paper uses data from Nevada’s uranium boom to create a model for the archaeological investigation of uranium-related mining sites as well as attempts to draw attention to the uranium mine and its ancillary features as a legitimate object of archaeological interest and an area of much-needed cultural resource management. The author is greatly indebted to multiple parties for their assistance in crafting this presentation. First and foremost, a generous grant from the University of Nevada, Reno’s Department of Anthropology was central to the author being able to attend the conference. The author is immeasurably grateful to Ron James, Nevada State Historic Preservation Officer for his mentorship and for introducing him to the realm of Nevada history in general and Cold War studies in particular. The author is also thankful to Mella Rothwell Harmon for helping him understand the importance of heritage preservation and the benefits of effective cultural resource management. 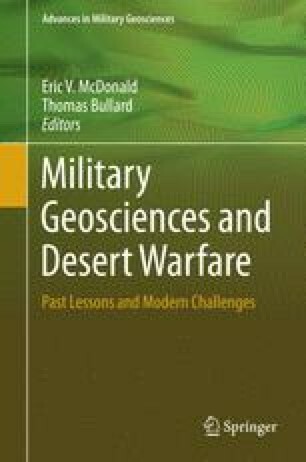 Finally, the author is immensely appreciative of the assistance he received from the staff of the 9th International Conference on Military Geosciences (ICMG) and the Desert Research Institute (DRI), particularly Susan Edwards. Many thanks to all.